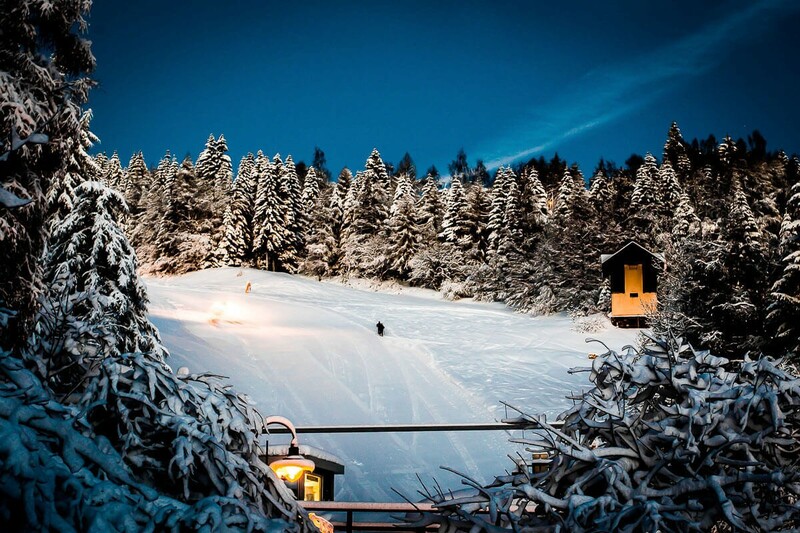 The 2013/2014 season on the Monte Bondone, which opened with the splendid spectacle of the XXVI Winter Universiade, it has brought animportant novelty: a modern chairlift esaposto with automatic coupling which will replace the historic "double-double" Montesel-Mickey mouse. The plant is located in a crucial point of the ski area, serving the ski slopes: Diagonal Montesel, Cordela (a natural continuation of the Field the First step), Lavaman, 3-Three, Mickey and the Snowpark, and will be in function also during the night in the evenings "Happy Snow" on Thursday and Saturday. The hourly flow rate will pass by 1935 people/hour of the previous chairlift to 2200 skiers/hour of the new esaposto, with a speed of up to 5.00 meters per second.